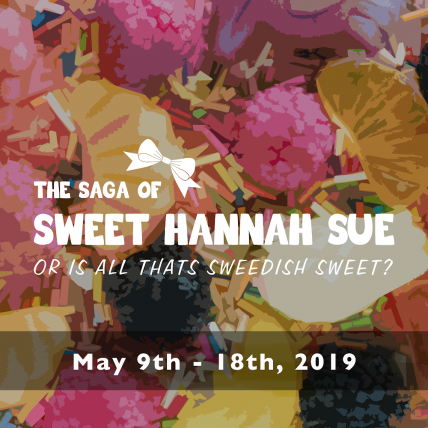 This saga finds us in the Svilton of Sweden with Hannah’s Mother and Father who have been entrusted with a special ice cream recipe. But the nasty Son of Sam and his six sons attempt to thwart the effort of a truly international cast in winning the ice cream cook-off grand prize cruise. Fun families like the Italian Lucia family, the French/Canadian Lumberjacks, and the shouting Childs family of England get everyone involved in a crazy food fight that leaves everyone asking, “Is all that Swedish Sweet”? Youth (Ages 8-15): March 12th, 19th, 26th, April 2nd, 9th, 23rd, and 30th at 5:00 – 8:00 p.m. Mandatory Tech Rehearsals: May 5th 11:00 a.m. – 3:00 p.m., 6th at 6:00 – 8:00 p.m., 7th and 8th 5:00 p.m. – 8:00 p.m.
Little Ones (Ages 4-7): March 19th, 26th, April 2nd, 9th, 23rd, and 30th at 4:00 – 5:00 p.m. Mandatory Tech Rehearsals: May 7th 4:30 – 5:30 p.m. and 8th 5:00 p.m. – 6:00 p.m. Youth (Ages 8-15): March 13th, 20th, 27th, April 3rd, 10th, 24th, and May 1st at 5:00 – 8:00 p.m. and May 6th at 4:00 – 6:00 p.m. Mandatory Tech Rehearsals: May 13th, 14th, 15th and 16th 5:00 p.m. – 8:00 p.m.
Little Ones (Ages 4-7): March 20th, 27th, April 3rd, 10th, 24th, and May 1st at 4:00 – 5:00 p.m. Mandatory Tech Rehearsals: May 15th at 4:30 – 5:30 p.m. and 16th 5:00 p.m. – 6:00 p.m. Contact www.RosevilleTheatreArtsAcademy.org for more information and to register for workshops.